When it comes to finding the latest in beautiful designer brands featuring premium homewares, giftwares, lifestyle, mens and kids products, there really is only one place to be – Life Instyle. 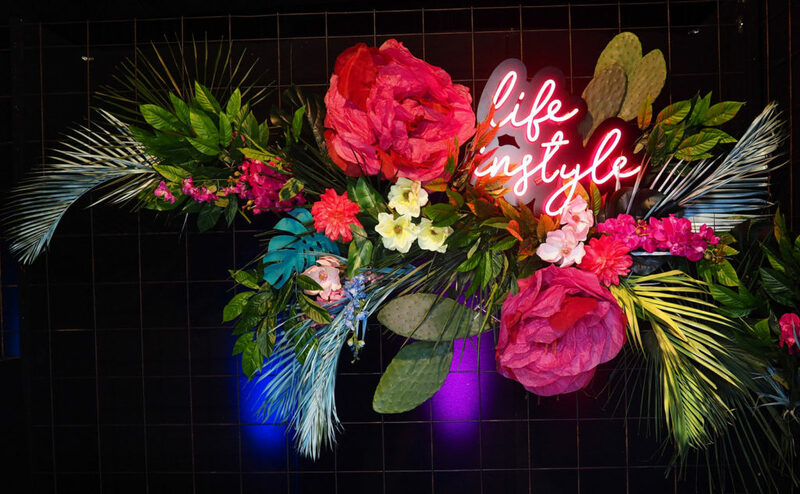 Life Instyle has cemented its place on the Australian design calendar as a highly anticipated event within the retail industry in the form of a fresh and vibrant celebration to inspire the year ahead. Committing to a strong focus on creative excellence and inspiring design, Life Instyle showcases emerging trends, brands and products amongst a relaxed and ambient open floorplan where visitors can immerse themselves in the latest offerings from an impressive list of over 350 exhibitors. The event team are passionate about curating the suppliers to grow with an ongoing focus and continued support for Australian Designed, Handmade and Eco/Sustainable brands and products. Now in its 16th edition, the upcoming Life Instyle SYDNEY event will be held over four days at the Royal Hall of Industries and Hordern Pavilion, 22-25 February 2018. The upcoming event includes new features such as the Kids Style Stage, new partners, more dining options starting with the Bookshop Cafe, even more content and a refreshed floorplan that highlights the many new brands and designers on board for 2018. Among the extensive list of exhibitors, some early names to look out for include WHEAT Down Under, Huxbaby, Four In The Bed, Just Smitten, Husk, Atolyia, The Lust List, Heaven In Earth, Barefoot Gypsy, Accessories by. G, Style Temple, ECOnation Collective, Island Jade, Little Things Interiors, FINEPRINT Co, Seljak Brand, The Society Inc and Kartell. A trade event for boutique retailers, Life Instyle SYDNEY provides a definitive platform and inspiration filled sourcing experience for design-focused buyers who are searching for the curated, edited and local designs of today. Posted in New Products and tagged australia, australian made, business, decor, design, Exhibition, Fair, furnishing international, furniture, home, homewares, industry, industry news, interior design, interiors, Life InStyle, new products, sydney. Bookmark the permalink.